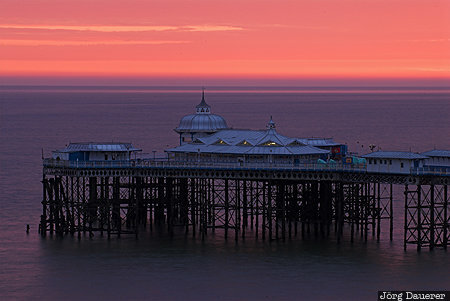 The Victorian pier of the seaside resort of Llandudno in front of a spectacular sunrise sky. Llandudno is in the north of Wales, United Kingdom. This photo was taken in the morning of a cloudy day in September of 2007. This photo was taken with a digital camera.